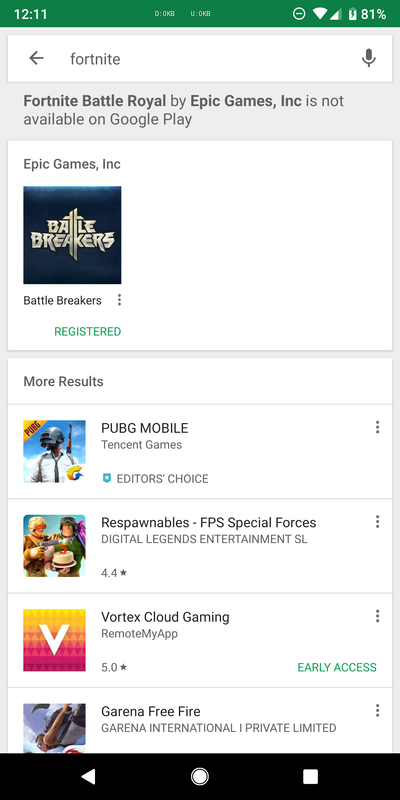 Fake games on the Play Store have been a problem for some time. No-name developers often blatantly rip off aspects of popular games like their names and app icons off, misleading people who don't know better to install them. This is the first time we're seeing a warning about a specific (very popular) game not being available, and it's much appreciated even if there's a spelling error. It's only visible on the Play Store app, but we doubt those looking for Fortnite will be using the site anyway.